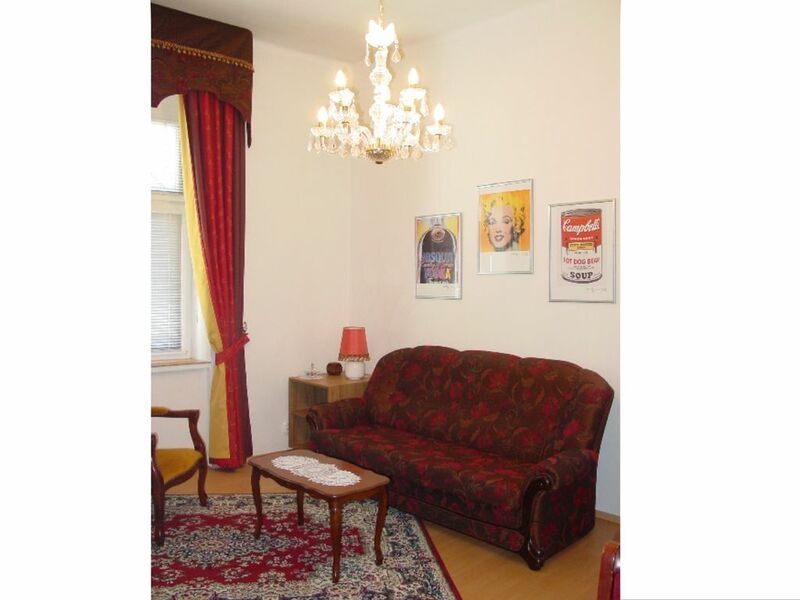 The stylish and air-conditioned Apartment is located in a historical center of Bratislava – Old Town. Sunny rooms are decorated with beautiful curtains. High ceilings ad to a festive mood of this unit that is based on Biela Street. Guests can enjoy two TV sets: one in a Bedroom and one in a Living Room. A cable TV and WiFi to enjoy. This was not the apartment we had reserved and we were politely informed as we waited at the designated meeting point that for technical reasons we would be relocated elsewhere (prior notice would have been appreciated).The alternate was clean but cramped and required an energetic climb. On the plus side Tony was agreeably helpful: wrestling our luggage and at the end of our stay driving us to the train station.